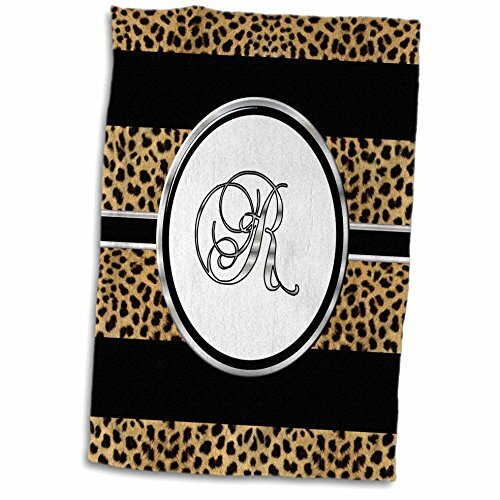 3D Rose Elegant Cheetah Animal Print Monogram Letter R TWL_180687_1 Towel, 15" x 22"
Elegant cheetah animal print Monogram letter R towel is great to use in the kitchen, bathroom or gym. This 15 x 22", hand/sports towel allows you to customize your room with a special design or color. Great for drying dishes, hands and faces. Suitable to put in any sports bag. Image will not fade after washing. Machine wash, tumble dry low, do not bleach. Towel will regain its fullness after the first washing. Made of 63Percent polyester (microfiber)/37Percent cotton (velour terry cloth). image printed on microfiber side/terry cloth side blank. Anniutwo Ladybugs,Hand Towel,Ladybug Dotted Wings Swirls Curves Abstract Simple Pattern Animal,Quick-Dry Towels,Red Black White Size: W 20" x L 20"
smallbeefly Animal Sports Towel Cartoon Design Print Sloth with a Flirty Quote So You Come Here Often Color Image Absorbent Towel Multicolor Size: W 12" x L 35.12"
smallbeefly Animal Bath Towel Ornamental Zebra Profile Silhouette Artistic Striped Safari Theme Artwork Bathroom Towels Purple Pink Coral Size: W 31.5" x L 64"